In September 2008, the U.S. Federal Court in Washington, D.C., rendered a $413 million civil judgment against the government of Syria for its provision of support and material aid to the killers of two American contractors in Iraq. Syria's appeal is pending, but should it lose, the victims' families will undoubtedly endeavor to attach Syrian assets in the United States and abroad. 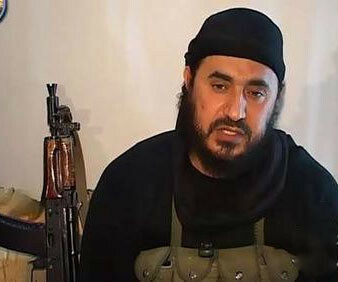 On September 26, 2008, the U.S. District Court for the District of Columbia ruled that Syria "supported, protected, harbored, and subsidized" the Iraq-based terrorist group headed by Abu Mus'ab al-Zarqawi (above), thus being culpable for the beheading of two U.S. contractors by this group. Until now, with the exception of sanctions, financial designations, and periodic cross-border direct action, Washington has imposed little cost on Damascus for its consistent support for terrorist attacks in Iraq since the 2003 war. And while the financial implications of this court verdict are unlikely to change Damascus's standing support for terrorism, it will impose an unprecedented price on Bashar al-Assad's increasingly reckless regime. In December 2010, U.S. counterterrorism officials reported an uptick in the number of insurgents entering Iraq via Syria. It was the most significant reference to a Syrian role in the movement of jihadists since December 2009 when Iraqi prime minister Nouri al-Maliki blamed Damascus for car bomb attacks that killed more than one hundred in Baghdad. But it was only the latest in a long series of U.S. complaints about Syrian provision of support to Iraqi insurgents, a development that started even prior to the 2003 U.S.-led invasion. Indeed, as Washington was surging troops to the region in 2003 in preparation for the blitz on Baghdad, Damascus was deploying its own counter-force to fight the Americans. In the months leading up to the invasion, the Assad regime allowed the establishment of an office across the street from the U.S. embassy in Damascus where insurgent hopefuls could sign up and get on a bus to Baghdad for the opportunity to repel the invaders. While brazen, Damascus's support and encouragement for Washington's enemies in Iraq came as little surprise. From the very start, Syria made no secret of its intent to undermine the U.S. invasion. Just days after the start of military operations, for example, then-Syrian foreign minister Farouq Shara publicly announced that "Syria's interest is to see the invaders defeated in Iraq." The defeat of the U.S. project in Iraq was an interest Damascus shared with Tehran. So much so that, according to then-Syrian vice president Abdel Halim Khaddam, on the eve of the invasion, the two countries forged an agreement to encourage "resistance" against U.S. forces in Iraq. The Assad regime also took other steps including recruiting local staff—such as the Aleppo-based militant Islamist cleric Abu al-Qaqa—to help organize the infiltrations across Syrian territory. To ensure that these dangerous Islamists did not plant domestic roots that might threaten the Assad regime, Syria's security apparatus apparently documented the presence of these killers. Then-deputy secretary of defense Paul Wolfowitz displayed some of the evidence of this official Syrian complicity during testimony before the Senate Armed Services Committee in September 2003. Wolfowitz's statements were subsequently augmented by those of a dozen or so U.S. Central Command (CENTCOM) flag officers, also focusing on the movement of jihadists through Syrian territory and Assad regime complicity in the endeavor. In March 2007, for example, CENTCOM revealed that training camps had been established on Syrian territory for Iraqi and foreign fighters. The most prominent of these statements, however, was issued by then-U.S. commander in Iraq Gen. David Petraeus, who during testimony to Congress on September 10, 2007, presented maps illustrating Syria's pivotal role as the source of foreign fighters entering Iraq. Only a week earlier, during an interview with al-Watan al-Arabi, the general described how Syria allowed thousands of insurgents to arrive at Damascus International Airport and then cross the Iraqi border. These foreign fighters, he explained, supplied the main manpower pool for the majority of suicide bombings in Iraq. That same month, the centrality of Syria to the insurgency was corroborated by the Sinjar documents, a trove of al-Qaeda materials captured by U.S. forces in Iraq. Syrian conduct during the war—in particular the state's burgeoning support for and tolerance of al-Qaeda's transit—came as a surprise to many. After all, following September 11, 2001, Damascus provided intelligence on al-Qaeda to Washington that helped save American lives. But Syria was playing a double game by supporting terrorists moving to Iraq while simultaneously supplying information on future attacks—outside of the Middle East—to Washington. Damascus hoped this would purchase immunity, but the gambit failed. After Secretary of Defense Donald Rumsfeld accused Syria in March 2003 of providing night vision goggles to Saddam and declared that Washington would "consider such trafficking as hostile acts and [would] hold the Syrian government accountable for such shipments," Damascus cut off the intelligence sharing. As a Syrian foreign ministry official confided to New Yorker correspondent Seymour Hersh, if Washington had agreed to discuss these issues in a back channel, the intelligence sharing might have continued. "But when you publicly try to humiliate a country," he said, "it'll become stubborn." While Damascus sought to blame Washington for the breakdown of the channel, by the time the cooperation had ceased, Syria had been actively facilitating the movement of jihadists into Iraq for months. In addition to killing U.S. soldiers and innocent Iraqi civilians, these insurgents also captured and killed dozens of U.S. civilians working in Iraq. Two of those American contractors executed by al-Qaeda in Iraq were Olin Eugene "Jack" Armstrong and Jack Hensley. In 2004, Thailand resident Armstrong and Hensley, who was based in Marietta, Georgia, were employed as contract managers by private construction subcontractors in Iraq. The two were kidnapped from their residential housing in Iraq on September 16 of that year. On September 20 and 21 respectively, videos documenting the gruesome beheadings of Armstrong and Hensley were posted on an online web forum associated with al-Qaeda in Iraq leader Abu Mus'ab al-Zarqawi. Remains of the victims were found in Baghdad soon after. In August 2006, the families of Armstrong and Hensley brought a civil action against the government of Syria, President Bashar al-Assad, Syrian military intelligence, and its director, Assif Shawkat. The action, launched by the estates of Armstrong and Hensley—under the name of estate administrator Francis Gates—alleged that Damascus "provided material support and resources" to al-Qaeda in Iraq and sought economic damages, compensation for grief, pain, and suffering, and punitive damages arising from their deaths. A three-day evidentiary hearing was held in January 2008 to establish the facts of the case. Four American expert witnesses testified how Syria facilitated the movement of jihadists to Iraq, how the Assad regime provided support and sanctuary to the Zarqawi network, and how the regime—and specifically the president and his brother-in-law, military intelligence chief Shawkat—were aware of the activities of Zarqawi and al-Qaeda. The government of Syria neither answered the suit nor appeared in court. Plaintiffs proved, by evidence satisfactory to the Court, that Syria provided substantial assistance to Zarqawi and al-Qaeda in Iraq and that this led to the deaths by beheading of Jack Armstrong and Jack Hensley. … The evidence shows that Syria supported, protected, harbored, and subsidized a terrorist group whose modus operandi was the targeting, brutalization, and murder of American and Iraqi citizens. Most importantly, in her ruling, Judge Collyer concluded that consistent with precedent, Damascus could in fact be held liable for damages pursuant to the Foreign Sovereign Immunities Act (FSIA). Under the international principle of sovereign immunity, U.S. courts have no jurisdiction over foreign states aside from certain enumerated exceptions codified by a U.S. federal statute in the act. Cases of state-sponsored terrorism are one exception. As of January 28, 2008, U.S. law "waives sovereign immunity for states that sponsor terrorism and provides a private right of action against such states." Because Assad and Shawkat were not individually served with the action, the court ruled that they would not be defendants. Based on this ruling, the court awarded damages requested by the Armstrong and Hensley estates. In terms of economic damages—lost income incurred by premature death—the compensation was relatively low, slightly over $1 million each. However, the especially cruel and prolonged technique of execution—and the resultant suffering of the victims and surviving family members—produced substantial damages awards. Most significant were the pain and suffering and punitive damages, which were especially high "in hopes that [these] substantial awards will deter further Syrian sponsorship of terrorists." The court awarded to each family $50 million for pain and suffering, and $150 million for punitive damages. All told, the civil judgment against Syria totaled $413,909,587. Although the mammoth judgment did not get much attention in the U.S. media, Damascus clearly took note of the award. On October 24, 2008—less than a month after the initial ruling—it filed a notice of appeal. In its effort to overturn the ruling, the government of Syria engaged Johnson administration attorney general Ramsey Clark as its counsel. Retention of Clark by the Assad regime was not very surprising. Clark has a prodigious record of defending publicly reviled individuals and causes. His clientele list is a veritable "Who's Who" of dictators and perpetrators of genocide that includes Radovan Karadžić, Slobodan Milosevic, Saddam Hussein, and Elizaphan Ntakirutimana (first member of the clergy to be convicted of genocide by the International Criminal Tribunal for Rwanda). Perhaps of more relevance to this case, in the early 1990s, Clark defended the Palestine Liberation Organization in the suit brought by the family of the murdered American Leon Klinghoffer. The appeal motion did not address the allegations of Syrian material support to terrorists who killed Americans. Rather, it centered largely on two jurisdictional matters. The first of Syria's arguments was that the case should be dismissed because "no service of process has been delivered by DHL [international delivery company] to Syria and no legally sufficient showing of service of process has been made." Indeed, according to the appeal brief, the signature documenting receipt by the Foreign Ministry in Damascus of the package alerting Syria of the legal action "could have been photocopied from an earlier signature … and could readily have been the product of manipulation and falsification." In any event, the brief continued, DHL is unreliable and "the Internet is rife with anguished, indignant complaints by DHL customers." Damascus conceded that "Essam" was in fact the name of the person who typically signs for packages at the Foreign Ministry, but it maintained that DHL perpetrated fraud to cover-up incompetence and that the government of Syria was never aware of the suit. While Syria's DHL conspiracy theory was entertaining, indications suggest the court will not find the explanation compelling. More interesting was Clark's second argument as to why the case should have been dismissed or remanded to the district court. Syria argued that the terrorism exception to sovereign immunity that allowed the action to be brought was unconstitutional "because it gives the Executive and Legislative branches incentive and opportunity … to misuse the exception to deny equal sovereignty for political purposes." Most recently, the brief noted, these branches terminated cases and undermined the judiciary's independence with regard to Libya. In addition to expressing concerns about preservation of balance of powers in the United States, Syria argued that by singling out the state, the suit violated article II of the U.N. charter, which, Syria said, establishes the principle of "sovereign equality of all [U.N.] Members." "By force of the U.S. Secretary's designation [of Syria as a state sponsor of terrorism]," the brief laments, Syria is "deprived of its fundamental right of equal sovereignty." Worse, the brief continued, the enormous judgment—which Syria described as "economic warfare"—would only "further inflame anti-American passions [and] invite retaliation." The near half a billion dollars in damages and penalties assessed against Syria for the deaths of two Americans in this case … can only fill Syrians and most of the rest of the world with wonder at the monetary demands U.S. laws place on American deaths and America's non-accountability for the lives it takes. With a gross domestic product per capita of $7,000, it would take 30,000 years for the average Syrian to earn the sum awarded for the death of one American in this case. In short, the Assad regime argued that the mammoth judgment leveled against Syria by the U.S. District Court with the expressed purpose of not letting "depraved lawlessness go unremarked and without consequence" will only result in Arabs hating Americans more. Consistent with the long-standing Damascus modus operandi, Syria's lawyers essentially threaten violence against the United States unless the initial verdict is reversed. Notwithstanding the seeming novelty of the defense's strategy—attacking the constitutionality of the Foreign Sovereign Immunity Act exception for state sponsors of terrorism—Damascus and Clark are employing this tack in other cases. During another recent civil action, two Americans taken hostage in 1988 by the Syrian-supported Kurdistan Workers Party (PKK) sought damages against Damascus for its provision of material support to the terrorist organization. In this case, too, the U.S. District Court for the District of Columbia did not accept Damascus's argument that the terrorism exception was unconstitutional. At the time of publication, the appeal verdict was pending, but judgments in several previous cases suggest that the Court of Appeals will affirm precedent and deny Syria's argument that the FSIA exception is unconstitutional, just as it has previously found that the U.N. charter is not self-executing and has no jurisdiction in U.S. courts. Syria is only the latest state to be held accountable in U.S. courts for its role in killing Americans. Most famously, in 1998, the family of Alisa Flatow, who was killed in a bus bombing perpetrated by the Palestinian Islamic Jihad, won a $247 million award from the group's Iranian sponsors. But significant judgments have also been rendered against Tehran for kidnappings, tortures, and murders perpetrated in Lebanon by its client Hezbollah and in Israel by Hamas. In 1997 and 2010, nearly $4 billion in civil judgments were rendered against Iran in U.S. courts by the victims of the 1983 Marine barracks bombing in Lebanon. Likewise, in 2007, U.S. courts awarded $6 billion to six American families and UTA airlines after Libya was found responsible for downing Flight 772 by a bomb over Niger in 1989. Ultimately, the UTA settlement was folded into the $1.5 billion fund established by Libya in 2008 to compensate Lockerbie, La Belle, and all other pending terrorism claims against Libya. While these astronomical figures would optimally constitute a deterrent for terrorist regimes, regrettably they have not proven effective. The problem, obviously, is that the judgments are exceedingly difficult to collect. After a $1.3 billion judgment was levied against Iran in 2010, U.S. District Court Judge Royce C. Lamberth calculated that more than $9 billion in uncollected torts had been ordered against Tehran, a sum that made the money a "meaningless charade." Federal courts have frozen some Iranian funds, including a $2 billion account at Citibank. Still other victims of Iran have sought, thus far unsuccessfully, to attach ancient Iranian artifacts in Chicago museums. As with Iran, wresting assets from Syria to satisfy the awards to the Armstrong and Hensley families will also prove a challenge. Damascus has relatively few assets in the United States, and diplomatic property is inviolable. Still, attorney Steven Perles, who represented the families, remains optimistic. To date, according to his assessment, he has recovered some $70-$75 million in frozen Iranian assets for his clients. And should the verdict be upheld, he says he intends to focus on Syrian assets in Europe "where a number of countries recognize compensatory [if not punitive] damages from American courts." While compensation remains a distant prospect, as long as these judgments are pending—if Iran is any example—it may become increasingly difficult for Damascus to do business in Europe. In any event, it is increasingly clear that because the Assad regime has contributed to so many American deaths in Iraq and elsewhere in the region, this lawsuit is sure to generate dozens more. Indeed, Perles himself has pledged to "financially pound the Syrians until they do what [Libyan leader] Qaddafi did and compensate the families for the deaths of their loved ones." More suits against Damascus await. The $413 million civil judgment represents the latest in a growing series of irritants in the U.S.-Syrian relationship. Since 1979, when Syria was added as an inaugural member of the State Department list of state sponsors of terrorism, U.S. relations with Damascus have never been good. Nevertheless, despite the pariah moniker, over time, relations between Washington and the terrorist state reached a condition of normalcy. This persisted until the Bush-era deterioration triggered by Syrian provision of assistance to insurgents in Iraq and the subsequent assassination of former Lebanese premier Rafiq Hariri in 2005, a murder widely believed to have a Syrian connection. Despite the Obama administration's sincere efforts to reset the relationship, improve the ties via a more active program of diplomatic engagement, and split Syria from its 30-year strategic relationship with Iran, over the first two years of this presidency, the bilateral dynamic has only gotten worse. Since 2010, Washington has watched Syrian support for terrorism and meddling in Lebanon increase. Meanwhile, Assad regime coordination with Tehran appears to be on the upswing. An early item on President Obama's agenda was the appointment of a new ambassador to Damascus, a post that had been vacant since the Hariri killing. In February 2010, Robert Ford was appointed to the post, but his confirmation was scuttled when President Assad hosted Iran's president Mahmoud Ahmedinejad and Hezbollah leader Hassan Nasrallah for a trilateral meeting in Damascus on February 26. Ford was given a recess appointment at the end of 2010 congressional term and was dispatched to Syria in January 2011. But it is unclear what he will be able to accomplish. In the face of two years of good will gestures by the Obama administration, Syria has provided increasingly lethal and destabilizing support to Hezbollah, believed to include SCUD and/or Fatah 110 missiles, and perhaps game-changing MANPAD systems, which can target Israeli F-16s over Lebanon. In addition to providing ongoing training to Hamas in Syria, recently released State Department cables suggest the presence of Hezbollah military facilities on Syrian soil. At the same time, Damascus continues its policy of noncooperation with the International Atomic Energy Agency investigation of the North Korean nuclear facility in al-Kibar destroyed by Israel in 2007. Finally, the human rights situation in Syria remains appalling and shows no signs of improving. This $413 million judgment joins the perennial catalogue of U.S.-Syrian issues for discussion. And although it is unlikely to become a priority issue, the outstanding award does serve an important purpose on the list. For unlike the other items—which pose a concern for regional stability and a threat to regional friends—the pending damages highlight that Syria's behavior is not just a problem for other states but for Washington. While it is possible that this Syrian obligation will ultimately be met through a Libya-style arrangement where the Assad regime jettisons its support for terrorism, ends its quest for nuclear weapons, and changes its strategic orientation in exchange for a rapprochement with Washington, this kind of deal remains a distant hope at best. In the meantime, the Gates v. Syria verdict is a useful reminder that Syrian support for terrorism kills Americans. Update from August 2011: Syria lost the appeal on May 20, 2011. David Schenker, the Aufzien fellow and director of the Program on Arab Politics at the Washington Institute for Near East Policy, previously served as the Pentagon's top policy aide on the Arab countries of the Levant. Associated Press, Oct. 3, 2008. BBC News, Apr. 1, 2003. Author interview with Abdel Halim Khaddam, Paris, Nov. 10, 2008. Sami Moubayed, "The Islamic Revival in Syria," Mideast Monitor, Sept.-Oct. 2006. Paul Wolfowitz, deputy secretary of defense, presentation before the Senate Committee on Armed Services, Washington, D.C., Sept. 9, 2003. ABC News, The Blotter, Mar. 22, 2007. "Charts to Accompany the Testimony of Gen. David Petraeus," Multi-National Force-Iraq, Sept. 10-11, 2010. Al-Watan al-Arabi (Riyadh), Aug. 29, 2007. Excerpts from Gen. Petraeus's interview in al-Watan al-Arabi, Tony Badran, trans., Sept. 4, 2007. For full English translations, see "Personal Information for Foreign Fighters," Harmony Project, Combating Terrorism Center, West Point, accessed Jan. 18, 2011. Donald Rumsfeld and Gen. Richard Myers, Pentagon briefing, Washington, D.C., Mar. 28, 2003. Seymour Hersh, "The Syrian Bet," The New Yorker, July 28, 2003. Fox News, Sept. 22, 2004. Francis Gates v. Syrian Arab Republic. Ibid., testimony by David Schenker and Matthew Levitt, Washington Institute for Near East Policy; Evan Kohlmann, NEFA Foundation; Marius Deeb, professor, Johns Hopkins School of Advanced International Studies. 28 U.S.C. § 1605(a), 1605A. Francis Gates v. Syrian Arab Republic. The language appears in the Defense Authorization Act for FY2008, Public Law No. 100-181, 122 Stat. 3, 338-344 (2008). Reports of the judgment appeared in Naharnet News Desk (Beirut), Oct. 5, 2008; Tayyar al-Mustaqbal website, Oct. 5, 2008. Now Lebanon (Beirut), Dec. 21, 2008. Corrected Brief of the Syrian Arab Republic, U.S. District Court of Appeals for the District of Columbia, Aug. 31, 2010. See Mary Nell Wyatt, et al v. Syrian Arab Republic, et al, Civil Action No. 08-0502, U.S. District Court of Appeals for the District of Columbia, Sept. 8, 2010. ABC News, The Blotter, Apr. 3, 2010. The Wall Street Journal, Dec. 12, 2009. See Daniel Pipes, "The University of Chicago vs. Victims of Terror," Lion's Den Blog, June 28, 2006. Fulton County Daily Report (Atlanta), Oct. 13, 2008. Author interview with Steven Perles, Washington, D.C., Jan. 10, 2011. Ha'aretz (Tel Aviv), Feb. 26, 2010. The Washington Post, Dec. 29, 2010. "Is Now the Time to Raise Hizballah with Syria?" USEMB Damascus Cable, Nov. 19, 2009, released by WikiLeaks, Dec. 6, 2010. Der Spiegel (Hamburg), Feb. 11, 2009. "Syria–Amnesty International Report 2010," Amnesty International, London, accessed Jan. 19, 2011. Related Topics: Iraq, Syria, Terrorism | David Schenker | Spring 2011 MEQ receive the latest by email: subscribe to the free mef mailing list This text may be reposted or forwarded so long as it is presented as an integral whole with complete and accurate information provided about its author, date, place of publication, and original URL.